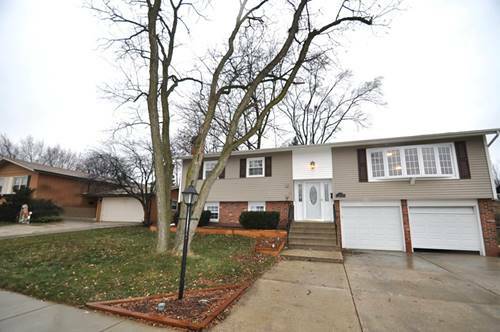 This warm Oak Forest, IL home boasts 3 bedrooms, 2 bathrooms and 1,237 square feet of awesome living space. You'll love the features this inviting home has to offer, such as gorgeous floors, over-sized windows, vaulted ceilings, a great room fireplace, stylish lighting and updated bathroom fixtures. The bright and airy kitchen features beautiful cabinets, updated appliances, and plenty of storage and counter space. There's a large, 2-car garage for parking and extra storage. Most Pets Welcome! For more information about 15238 Ridgeland, Oak Forest, IL 60452 contact Urban Real Estate.